Susanna joined the Sussex Development in 2017 as a Project Engineer. She grew up in the construction industry and starting at age 15, worked summers in her dad’s office or the field, learning her way through general contracting throughout college. When it came time to choosing her college capstone internship, general contracting was the obvious choice. She obtained her B.A. in Business from Point Loma Nazarene University in San Diego, CA where she was born and raised. 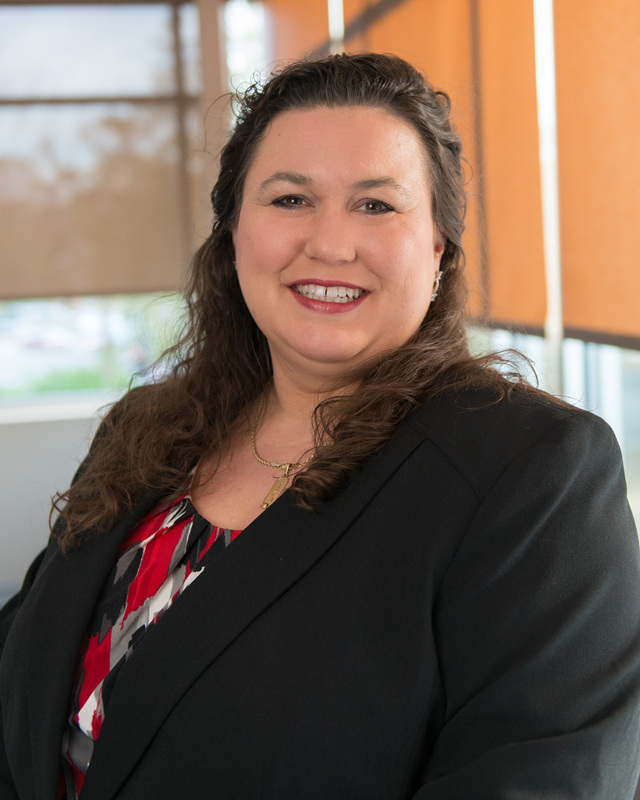 Before moving to Virginia Beach with her husband, she worked for a San Diego based general contracting company, specializing in their biotech tenant improvement division and specializing/teaching Bluebeam Revu. 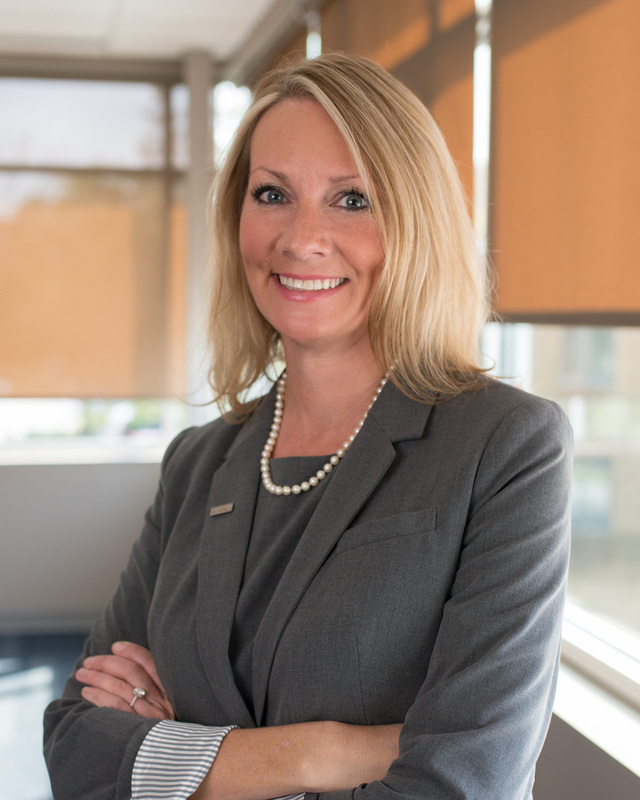 Outside of work, Susanna enjoys exploring all that Hampton Roads has to offer with her husband, hiking with her dog, fishing, swimming, and attending concerts. Cindy joined the Sussex Team in 2017, as our Administrative Assistant and has since proven to be an integral part of our daily life. She keeps the office running smoothly and earned the esteemed position of being our first Chief People Officer. 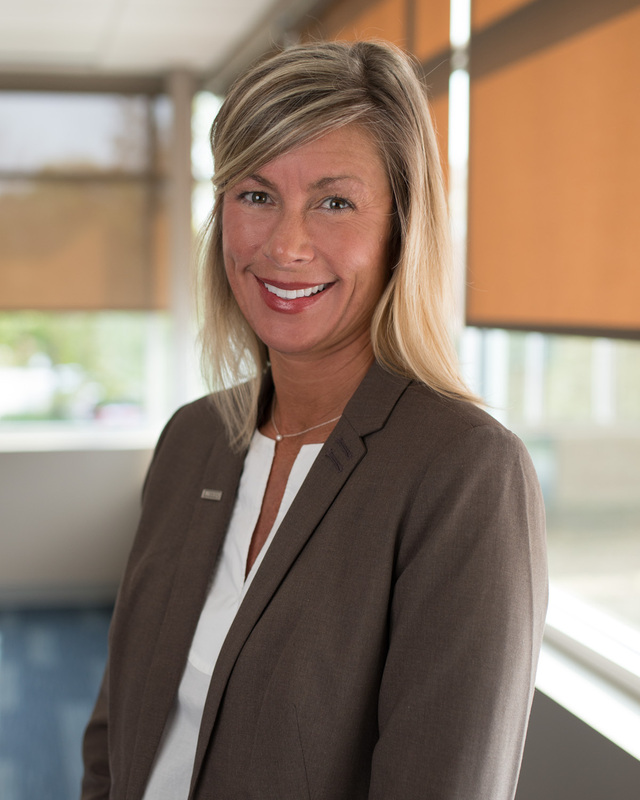 She provides exceptional customer relations and service throughout the entire organization; being the first-person people speak with upon visiting or calling our office. Not only does Cindy serve the office in an administrative capacity, but she maintains team morale by exuding compassion, helpfulness, professionalism and leadership to all employees. If Cindy isn't working, you can find her enjoying a variety of activities: walking on the beach, traveling, enjoying new adventures, or reading a good novel. She enjoys spending time with her children and grandchildren. She is passionate about serving the community and has dedicated over twelve years volunteering with multiple non-profit organizations with a focus on natural disaster relief causes. David grew up in Elizabeth City. He is a firm believer in continuing education and learning. He graduated from Mid-Atlantic Christin University in 1980, with a B.A. in Ministry, going on to complete an additional 46 CU at the undergrad and grad levels, he completed course work in the North Carolina State Certificate of Project Management program, was previously a licensed NC Limited Builder and Virginia Class A Builder. He is CPR/AED/First Aid and OSHA 30 hour certified and completed USACE CQM certification in 2011, and 2017, and is also a Virginia Certified Responsible Land Disturber. Since 1998, David has been active in the construction industry as either a superintendent or project manager. He is accomplished in writing scopes of work, bid packages, reviewing submittals, reviewing contract documents, project scheduling, crew management, quality control and project documentation. David is a skilled framer and trim carpenter. He is an avid reader and enjoys spending time with family and friends, a good game of golf, and can be found on ski slopes in winter. John is a Hampton Roads native and joined the local construction industry at the age of 15. His early career was in concrete and site work, running heavy equipment – a skill he has maintained throughout his career. John has extensive experience in sitework, utilities and framing. He has also field supervised the erection of several prefabricated metal buildings. John is OSHA 30 Hour and Silica certified. Steve is a jack of all trades. After graduating from The College of William and Mary with a B.A. in English in 1998, he began his construction career as a Foreman’s Assistant and developed into a Superintendent. He spent a couple years as a Financial Services Professional, guiding clients toward their short and long term financial goals. Despite his success in the financial sector, the construction industry kept calling to him and he returned to it as President of a residential construction company. He managed all aspects of the business including sales, estimating, customer service, land procurement, contract management, subcontractor sourcing and even state and local policy compliance. Steve is currently pursuing his M.A. in English at Old Dominion University. He joined Sussex Development in 2018, were he continues to instill his ability to handle multi-faceted jobs with an emphasis in making a positive impact in the world. 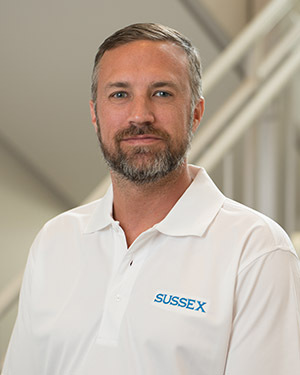 Allen moved to Hampton Roads in 2018, to pursue a career with Sussex Development. He earned his B.S. in Geography from Radford University and spent the first part of his career in California, doing environmental site assessments and studies; most notably performing investigation and analysis on a floodplain which was impacted by the Enbridge oil pipe line break on the Kalamazoo River. 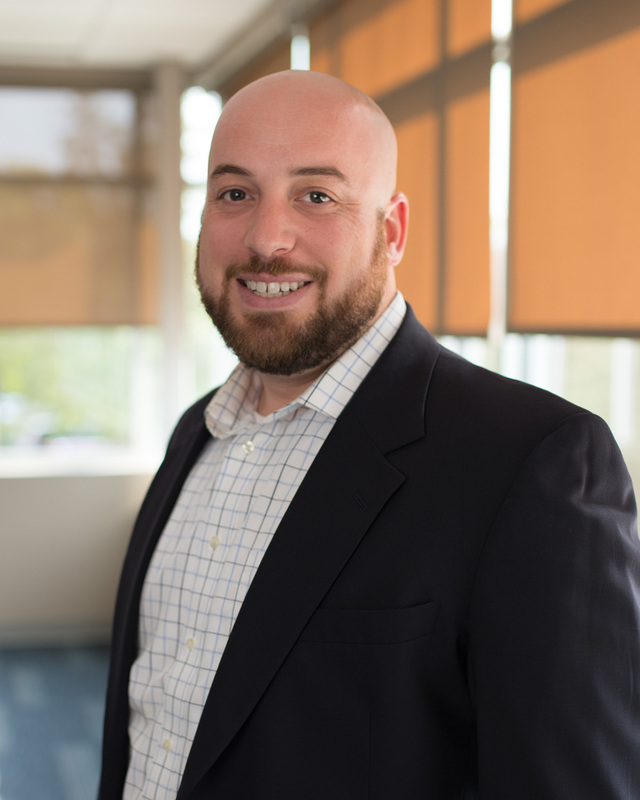 Allen returned to northern Virginia in 2012 to accept a position as Project Manager, overseeing high volume residential and commercial restoration projects. 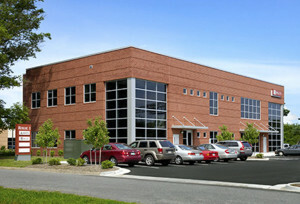 He has involved in every aspect projects from estimating work through final occupancy. Harry is a Virginia Beach native with strong ties to the local community. In 1978, he graduated from Virginia Polytechnic Institute and State University with a Bachelor of Science degree in Building Construction. 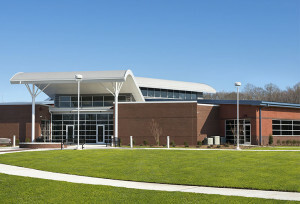 Before founding Sussex Development in 1990, Harry began his construction career as a Project Engineer on multi-million dollar projects, such as the State of Georgia Prison Hospital Complex, working his way up to Vice-President for a prominent area general contractor. Harry firmly believes in a commitment to family, community and the construction industry. He currently serves on the Second Century Committee at Virginia Beach United Methodist Church. 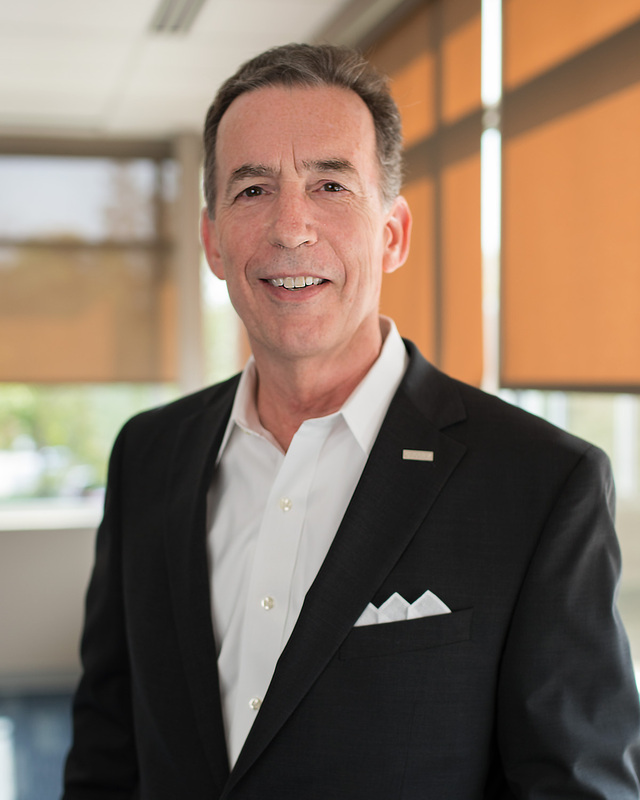 He has served the Associated General Contractors of Virginia in various capacities, including President of both the state and local chapters and is currently on the board of the Builders & Contractor’s Exchange, becoming its President in 2018. 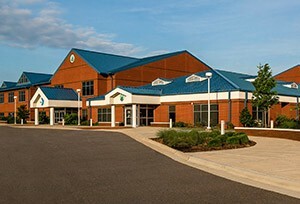 Harry is an avid supporter of the YMCA of South Hampton Roads, Children’s Hospital of the Kings Daughters, and the Wounded Warrior Program, along with other area youth and military groups. 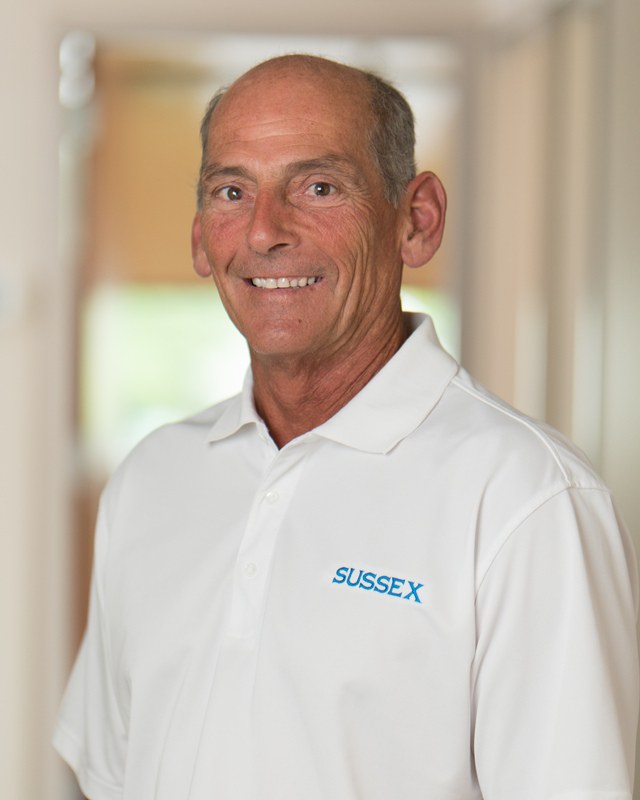 Mike is one of the original three Sussex Development Team Members. He has nearly 50-years of hands-on construction experience in the Mid-Atlantic Region. He attended the Delaware Vocation School and worked his way up from a carpenter to Project Superintendent before joining Sussex Development. Mike has a solid reputation as a powerhouse in delivering first-class projects on schedule and under budget. 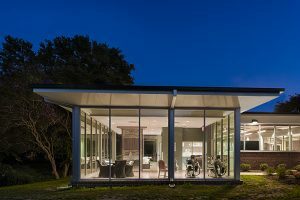 Clients trust his integrity, judgment, attention to detail and ability to provide them with quality buildings. Subcontractors know they will be treated fairly and count on Mike to give them the support they need. 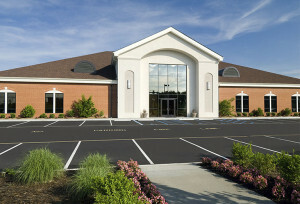 His market niche is multi-million dollar medical, recreational, and institutional facilities. 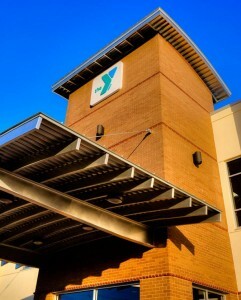 Mike managed the construction of more than twenty YMCA projects through the years, and performed countless work with TowneBank. His dedication to excellence is exemplified in the multiple repeat work and referrals from our existing clientele. LeeAnn joined the Sussex Development Team in 2006, as an Accountant after completing her B.A. degree in Business Management, with a concentration in Accounting, from Virginia Wesleyan College. LeeAnn quickly implemented methods to more accurately track job costs, allowing for better reporting and evaluation of finished projects. In 2009, she was promoted to Controller, and was named Chief Financial Officer in 2018. She is responsible for all financial and accounting operations of the company, including risk management and human resource functions. 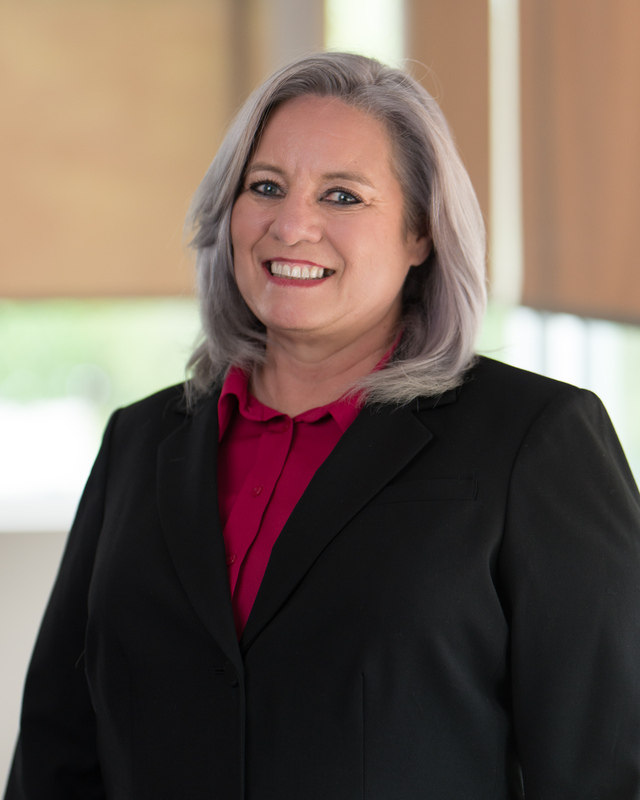 In 2011, LeeAnn passed the Certified Construction Industry Financial Professionals (CCIFP) exam to become one of only a few individuals certified in the State of Virginia and specializes in construction accounting. Victoria began her construction career with a prominent New England nursing facility developer, before moving to Europe, where she earned her B.A. in Business Management and Psychology. She spent six successful years as a Project Manager for a Virginia Beach based international signage firm, where she specialized in national branding conversion programs and large-scale architectural projects across the country. 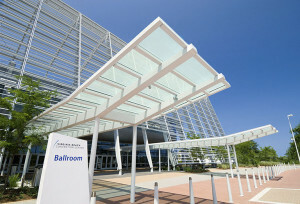 She facilitated site surveys, met with ARBs, and managed all aspects of leading a project through the design, production, installation, billing and final project close out, often coordinating more than 350 contractors for a single project. In 2005, Victoria accepted a position with Sussex Development as a Project Engineer, and after a few short months was promoted to Senior Project Engineer, and in 2015, accepted a position as Preconstruction Manager. 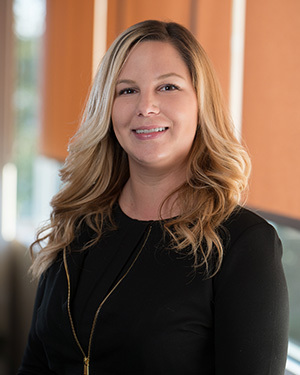 Since joining Sussex Development, Victoria completed her certification as a Construction Industry Technician through Clemson University, and in 2013, attained her ASHE Healthcare Construction Certification. From 2008-2011 she was mentored by the founder of Circle Safety & Health Consultants to become familiar with OSHA/VOSH regulations, site safety auditing and helped lead Sussex Development in further development of its Safety Program. Victoria also has a vital role overseeing our IT/Communication systems. 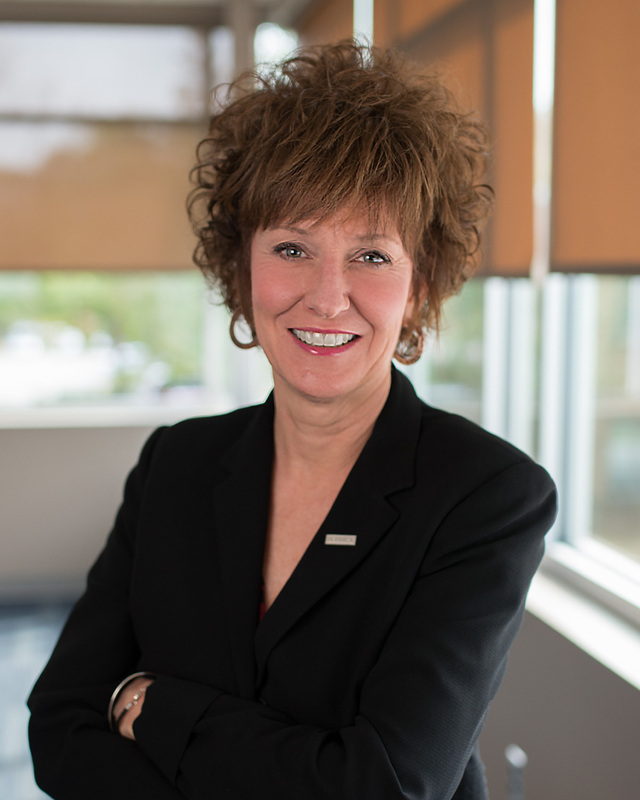 For many years Victoria was a member of the local chapter of the National Association of Women in Construction (NAWIC) and Hampton Roads Association for Commercial Real Estate (HRACRE). Presently she is focusing her community efforts through organizations her daughter participates, like the Girl Scouts and a Volunteer Community Dance Group. Cassie grew up in Boston, MA, eventually graduating from Wentworth Institute of Technology, obtaining her B.S. in Construction Management. She completed multiple co-ops and internships in the general contracting field and especially fell in love with the industry after having the opportunity to travel the world working for an international general contractor. Since returning stateside, she has devoted her career to the construction industry engaging in roles from Project Engineer to Senior Estimator, and in 2018 joined Sussex Development as our lead Estimator. In addition to a full-time career, Cassie is working on a Master’s Degree in Business Administration with a construction management concentration. She is dedicated to the March of Dimes, volunteering each year for March for Babies in Virginia Beach. She enjoys spending time with her husband, two young children, two huskies, and runs a cottage cake baking business. Cassie is OSHA-30 certified, certified in ACI Concrete Field Testing (Grade I), and certified by the U.S. Army Corps of Engineers Construction Quality Management for Contractors. 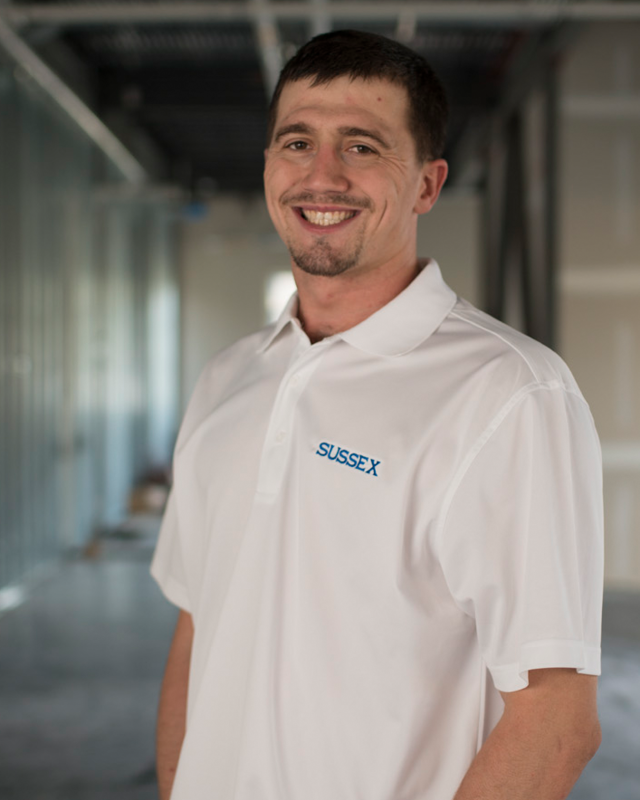 Billy began his construction career while still in high school, working with his father, a North Carolina drywall contractor. In his twenties, he began working for a Virginia Beach drywall contractor. Billy’s strong leadership skills quickly placed him in a supervisory position. His hands-on approach gained him a comprehensive understanding of methods and materials used throughout the industry, and he became known for tackling challenging projects and finding cost-saving solutions. 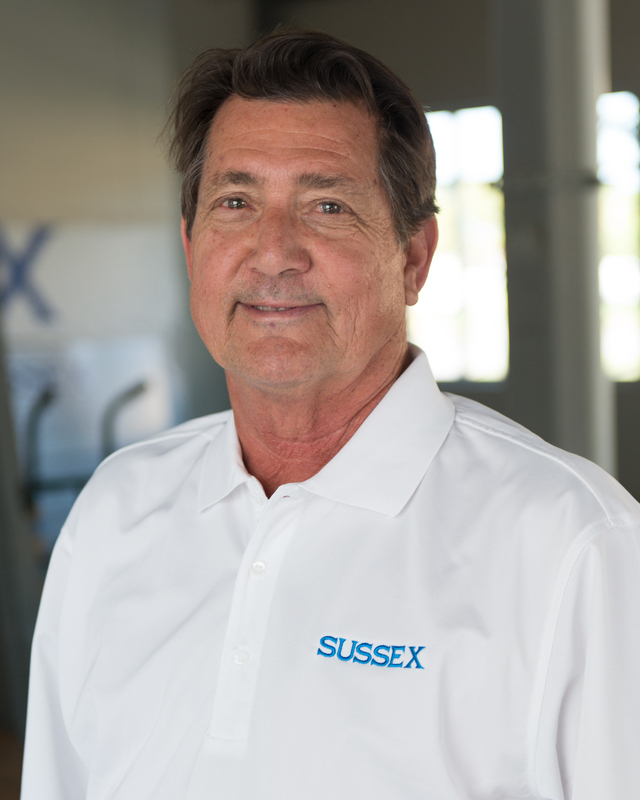 Sussex Development offered Billy a Project Superintendent position in 2006. He proved himself and in early 2012, Sussex Development’s management team offered Billy the opportunity to further develop his career and promoted him to Assistant Project Manager. He learned the administrative aspects of running a successful project with enthusiasm. He is now one of our key Project Managers, focusing in the medical and banking industries. Outside work, Billy has acted as a youth mentor, helping troubled teens find more productive alternates to the streets. He volunteers time to the YMCA Camp Silver Beach work weekends, and rallied support for the annual Build-a-Bike event.He has a passion for music and plays in a local band. Rolley was born into the construction industry, so it was a natural fit when choosing his career path. Growing up, he spent many hours at Sussex Development learning from his father, interning in the office and field throughout high school and college. These early influences led him to pursue a B.S. in Construction Management at East Carolina University. While in college he was a volunteer fire fighter for the Eastern Pines, NC Volunteer Fire Department and visited China in 2008, touring the region’s ancient and modern architecture. 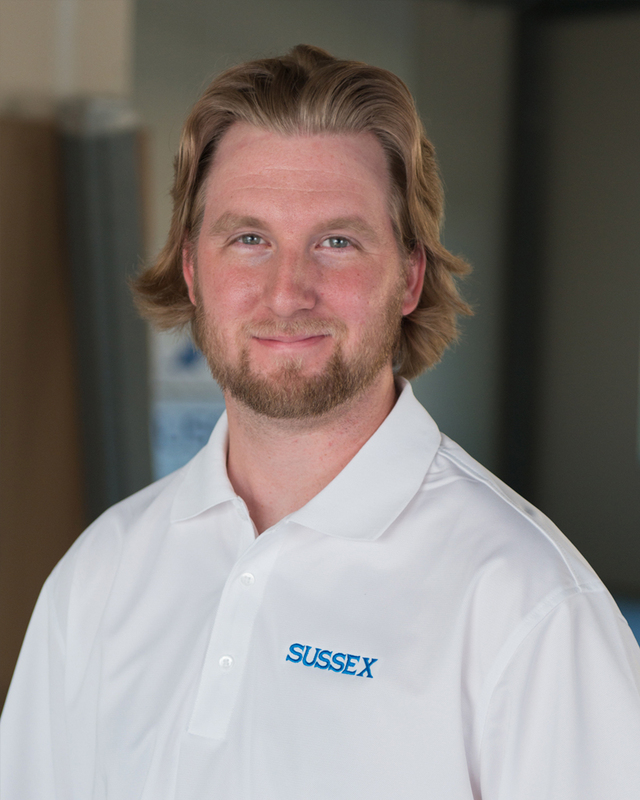 Since joining the Sussex Development Team full time in 2009, as an Assistant Superintendent then Project Superintendent, he gained substantial hands-on experience with ground up construction projects, such as YMCAs and oversaw many specialized medical renovations and build outs. He is currently focused on serving the needs of our Banking, Industrial and Medical clientele. Rolley is now one of our Project Managers and oversees our Service Department, providing post-construction care for several continual Clients. Rolley is OSHA 30-hour, ASHE Healthcare Construction and Mold Remediation certified. In June of 2017, Rolley completed the requirements to become a CICTI Certified Healthcare Trainer. In addition to becoming a new dad, Rolley is active in the Young Leaders of the Associated General Contractors (AGC). 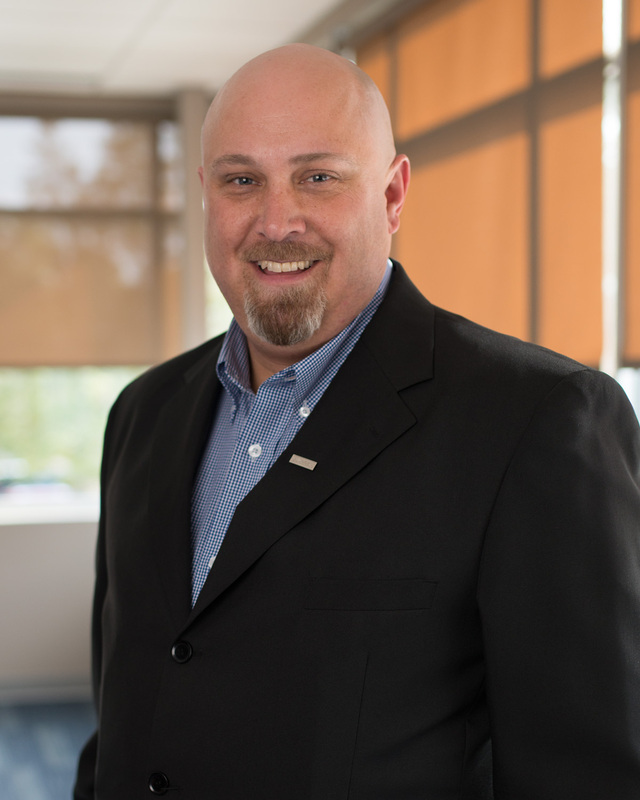 Corey started out in construction more than twenty-five years ago, on the ground floor of his family’s business, working his way into project management on numerous national retail accounts, such as Blockbuster Video. He takes a hands-on approach to construction and specializes in design-build projects. 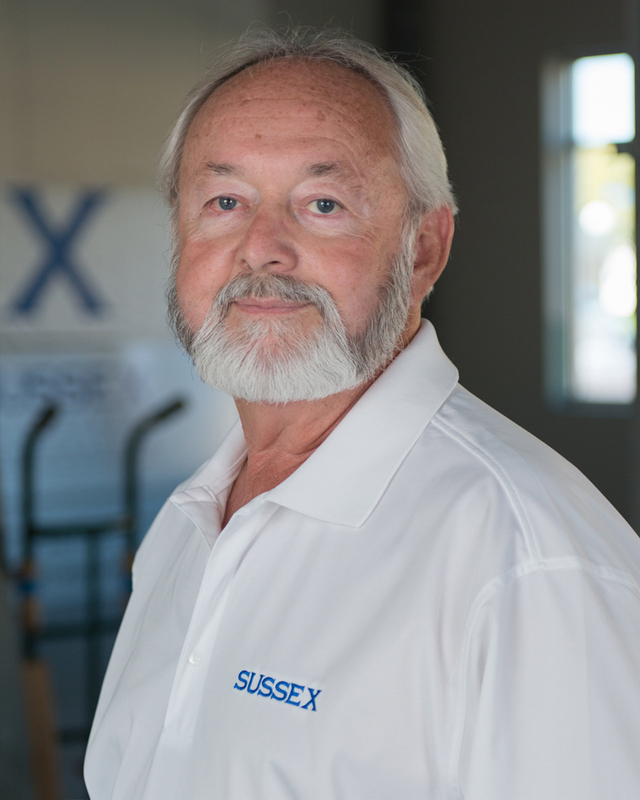 Before joining Sussex Development, he fostered a niche in the automotive industry, building new showroom stores and services centers, as well as remodeling projects and display lots. He is a successful liaison between owners, manufacturing representatives, design professionals and municipality officials, navigating the path between initial design concepts and project completion. Corey’s laid back approach is comforting and helps build strong, trusting relationships with clients, design professionals and subcontractors. 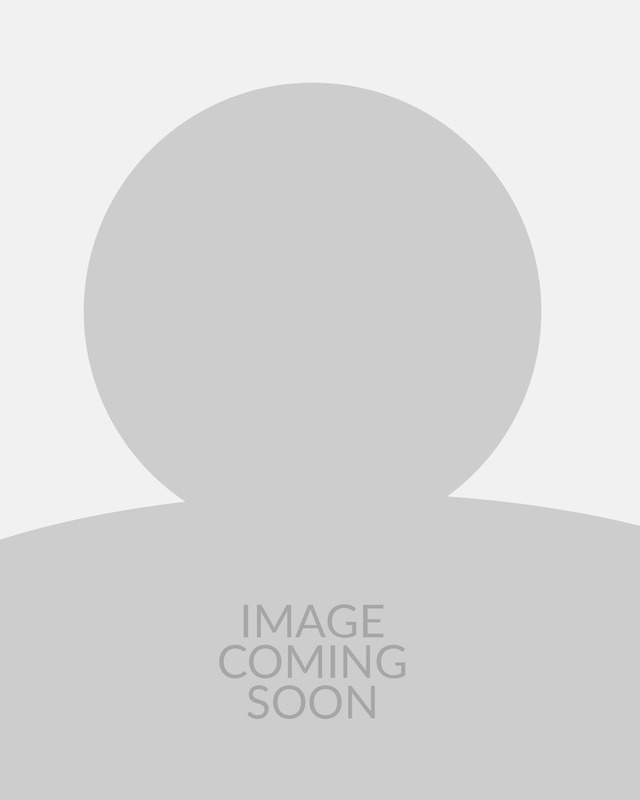 Corey has tremendous experience with new construction. 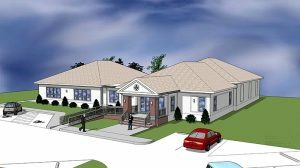 He served as Project Manager on ground-up projects like the Denbeigh Community Center, Charles Barker Lexus and Freedom Furniture Group, as well as performed a multitude of renovations and expansion projects. Jodi joined Sussex Development in 2014, as an Administrative Assistant, providing support for our Accounting and Project Management departments. She attained a B.A in Sociology from the University of New York at Potsdam in 2000, before starting her business career. Prior to moving to Virginia Beach with her family, she worked for a Maryland based General Contractor in the capacities of Administrative Assistant, Project Administrator and as a Claims & Safety Specialist. During her time with Sussex, Jodi proved herself to be a valuable Team asset and in 2015, was promoted to Project Engineer. With Sussex Development’s support, Jodi took her background in insurance to the next level and completed training to become a Construction Risk and Insurance Specialist. Jodi is dedicated to physical fitness and spends much of her leisure time participating in charity events, in addition to being an active member of the Mermaid Circle of VBCU, a group of women who raise money for CHKD and other local children’s charities in the Tidewater area. Jennifer achieved her B.S. 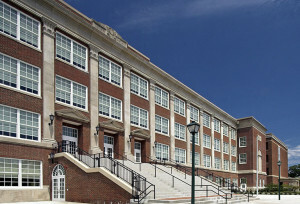 in Social Sciences from Old Dominion University, and went on to provide strong administrative support for area businesses. She has acted in the capacity of Executive, Personal and Marketing Assistants in the commercial real estate and construction industries, as well as being a Sales Coordinator for a local hotel. Right after college, Jennifer was a bank teller, then Loan Processor for Bank of Hampton Roads, where she coordinated the “Earn and Learn” program, visiting schools to teach kids about fiscal responsibility and empowering them with money management skills. Sussex Development is proud to have Jennifer be a part of our Team as our Administrative Assistant and the smiling face that greets visitors to our office. Her enthusiasm and up-beat personality are refreshing. Keith began working residential construction projects part-time in high school where he developed a passion for the industry. After graduating he took a full-time job in the commercial sector. Keith is experienced in a wide cross-section of the marketplace, focusing on medical, bank and retail projects. 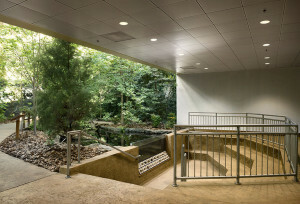 Keith has experience being a Project Superintendent on two, multimillion dollar LEED Platinum Projects. Guiding Keith is a passion to learn. He is continuously seeking ways to hone his skills and take on new challenges. Consequently, he holds OSHA 10, 30, 510 and Focus-Four Certifications. Keith is Mold Remediation Certified and a Virginia Responsible Land Disturber (RLD). 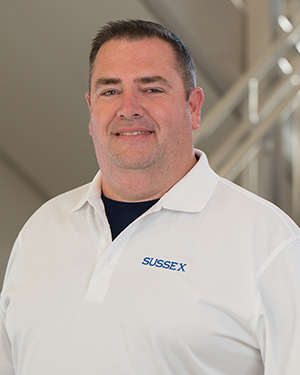 His aptitude for technology lead him to become a leader for Sussex Development’s Superintendent Team in ways to maximize the benefits of having iPads on job sites. He is motivated to research new apps, programs and methods to improve the field experience, and mentors his co-workers on the mobile devices. On the jobsite, this attitude helps him work with design professionals and subcontractor to overcome obstacles. 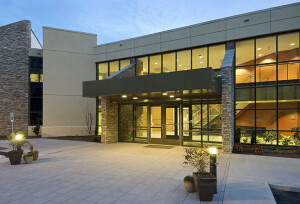 Keith has successfully renovated and built new facilities such as TowneBank, College of the Albemarle, Wagner Macula & Retina Centers and Advanced Vision Institute. Andy joined Sussex Development in 2008, with a goal to get back into the field and out of the office. He earned a B.S. in Civil Engineering from Michigan Technological University. 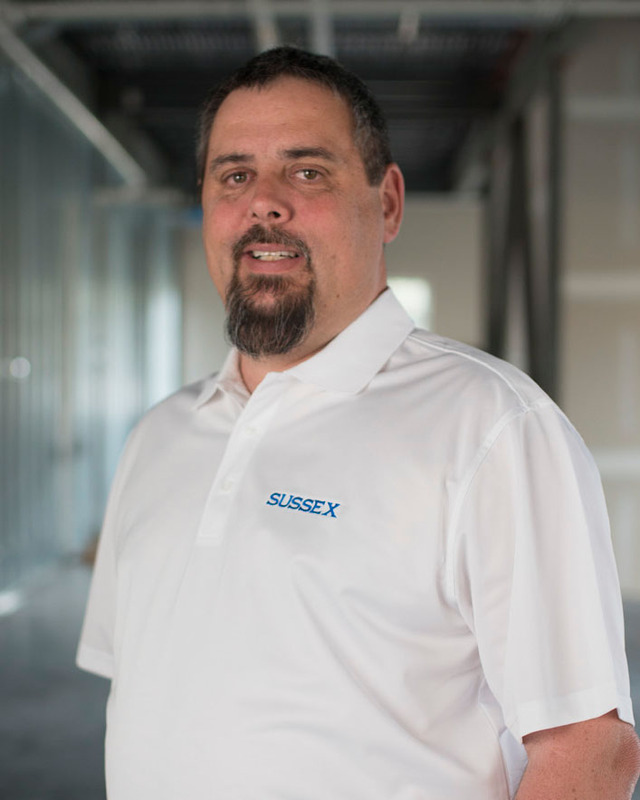 Andy spent five years as a Project Manager on municipal earthmoving and underground utility projects, then seven years as a Project Manager for small commercial construction projects. Before either of those roles, he was a field superintendent for similar projects to those he managed. Andy is OSHA 10-Hour Certified and CPR/Adult AED/First Aid Certified. 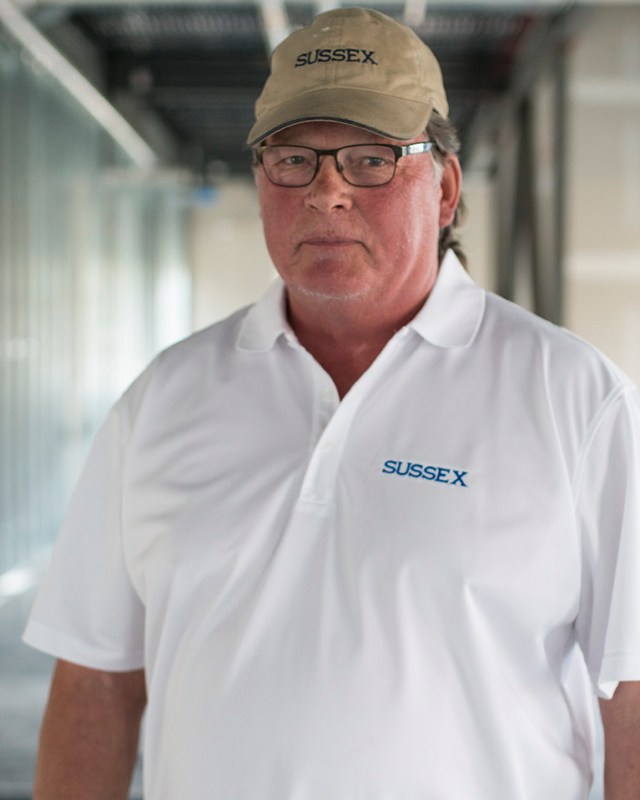 At Sussex Development, Andy quickly proved himself to be well-qualified in leading field activities on a wide array of projects such as small-scale patient room renovations, exterior canopy / entrance renovation and he completed a high-end, multi-unit residential condominium building. 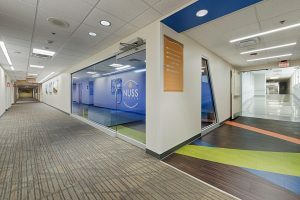 Many of his projects are in ultra-sensitive patient areas, like Labor & Delivery Units and Imaging Centers, which require an extra level of attention to the patients, security and ICRA requirements. 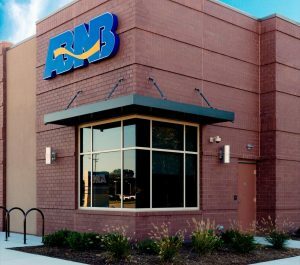 Andy’s portfolio includes such clients as ABNB Federal Credit Union, TowneBank and East Beach Villas. 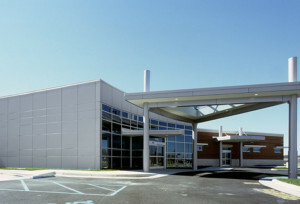 Most of Andy’s project portfolio with Sussex Development has been medical work where he performed dozens of projects for Sentara Healthcare, Sentara Medical Group, Children’s Hospital of the King’s Daughters and Chesapeake Regional Medical Center. 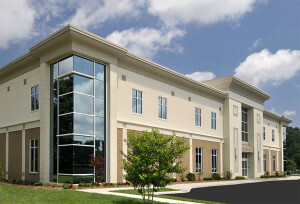 Currently Andy is in the unique position of being assigned a multi-year contract, managing many small to large scale construction projects for an international manufacturing Client in Virginia Beach. When he has free moments, Andy enjoys spending quality time with his wife and four children, playing an active role in their schooling and extra-curricular activities. 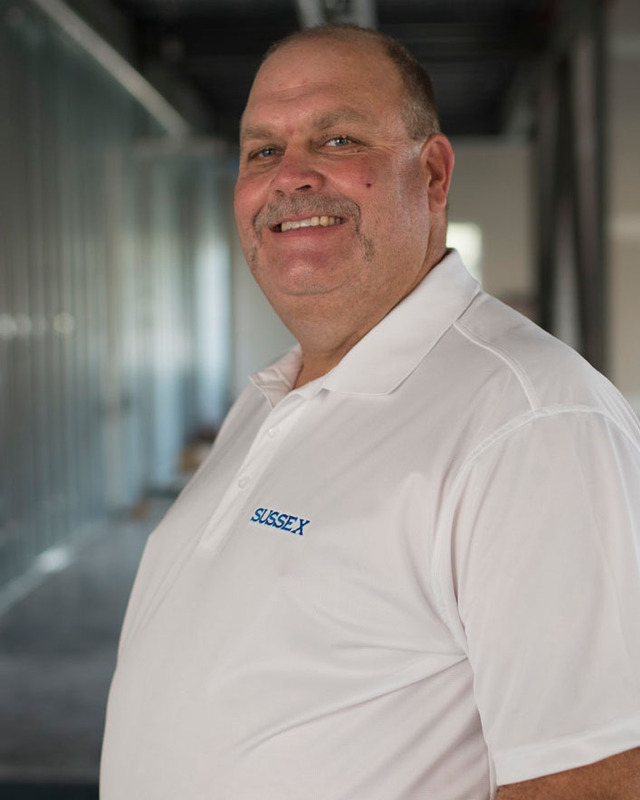 At Sussex Development, Andy quickly proved himself to be well-qualified in leading field activities on a wide array of projects such as small-scale patient room renovations, exterior canopy / entrance renovation and he completed a high-end, multi-unit residential condominium building. Many of his projects are in ultra-sensitive patient areas, like Labor & Delivery Units and Imaging Centers, which require an extra level of attention to the patients, security and ICRA requirements. 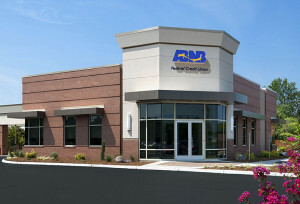 Andy’s portfolio includes such clients as ABNB Federal Credit Union, TowneBank and East Beach Villas. His primary focus though, is in medical work where he has performed numerous projects for Sentara Healthcare, Sentara Medical Group, Children’s Hospital of the King’s Daughters and Chesapeake Regional Medical Center. Ric boasts that his construction career began in elementary school helping his dad, who was also a contractor. His experience continued after graduating high school in 1979, and has carried forward throughout his adult life. Ric is OSHA 30-Hour Certified, Mold Remediation Certified, is a Certified Renovator (Lead-Based Paint), a Virginia Responsible Land Disturber (RLD) and maintains his First Aid / AED/ CPR certification. 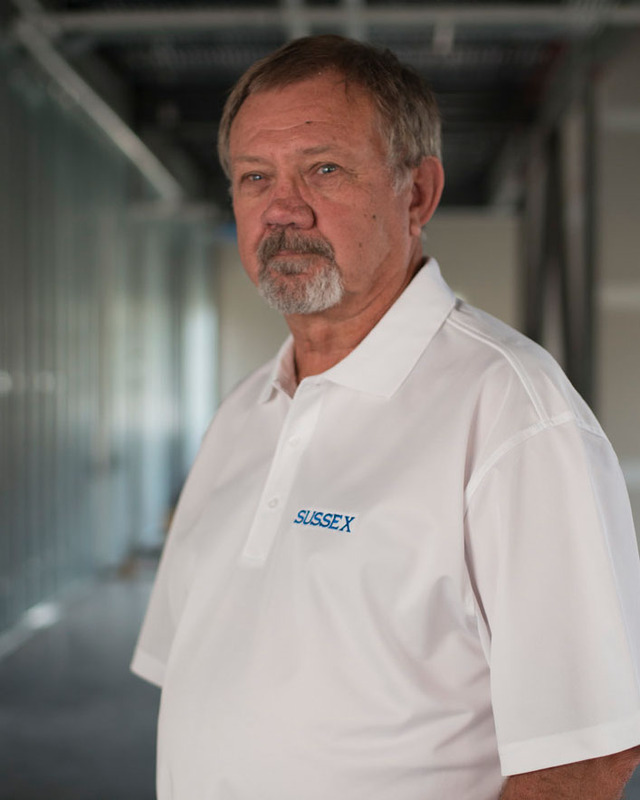 Before joining the Sussex Team in 2007, Ric spent five years working with a major local steel erection company. The previous fourteen years he traveled throughout the Mid-Atlantic region and Tennessee, successfully managing the construction of dozens of chain restaurants. 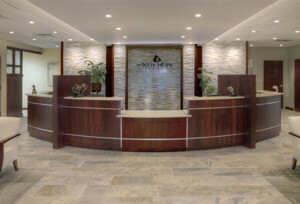 Ric is a preferred Superintendent on TowneBank projects and fostered a solid relationship with other clients, such as Sentara Healthcare. Ric is known for identifying potential areas of conflict early in a project, finding feasible and cost-effective solutions and alerting the Architect and Owner with sufficient time to allow for the adjustment and maintain the project schedule. He is an excellent mentor to others and his solid leadership skills lend well to managing the daily operations and workers on both large and small construction projects. 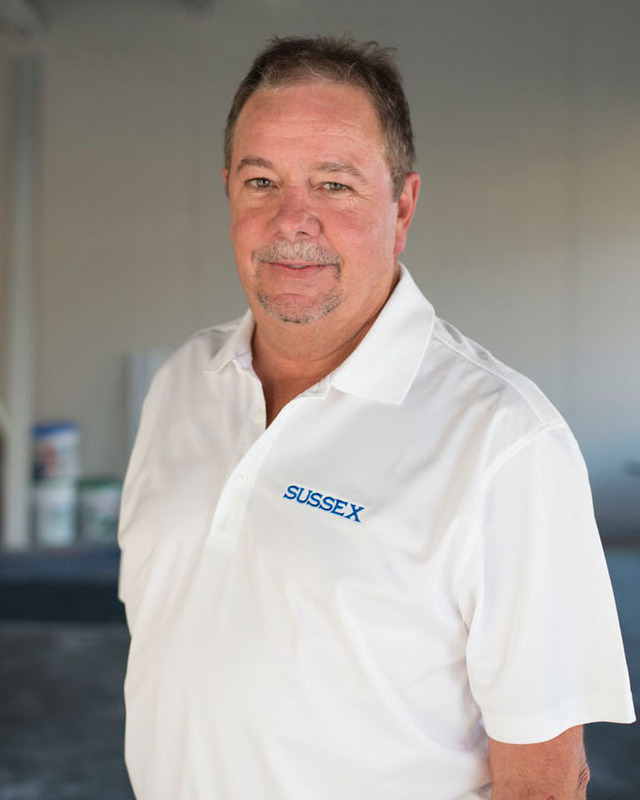 Frank joined Sussex Development in 2013, with a goal to expand his experience as a Superintendent. 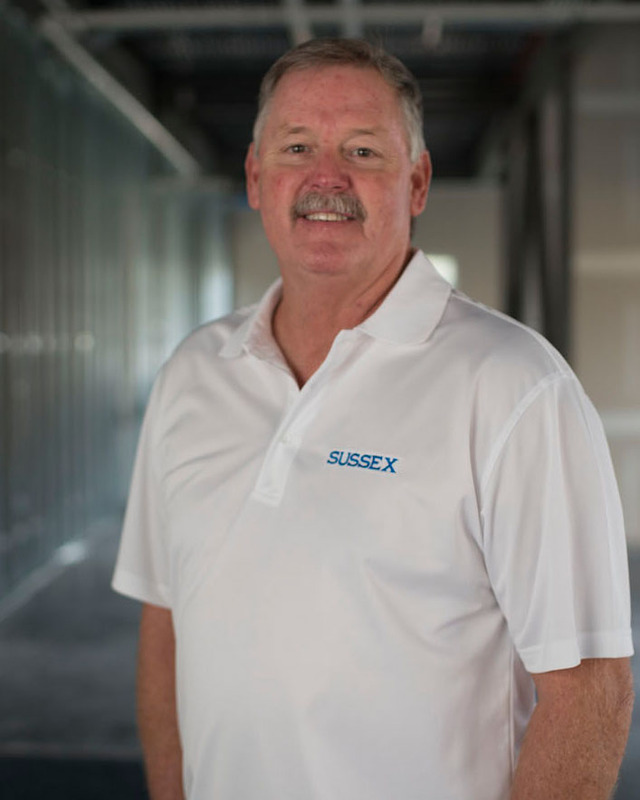 Prior to joining Sussex Development, he spent several years as a Superintendent for another area general contractor on their commercial projects. Frank began working construction as a teenager, and completed the Norfolk VoTech Carpentry Apprenticeship Program after high school. He is OSHA 10-Hour Certified, stays current on CPR, Adult AED and First Aid Certifications and is a Virginia Responsible Land Disturber. 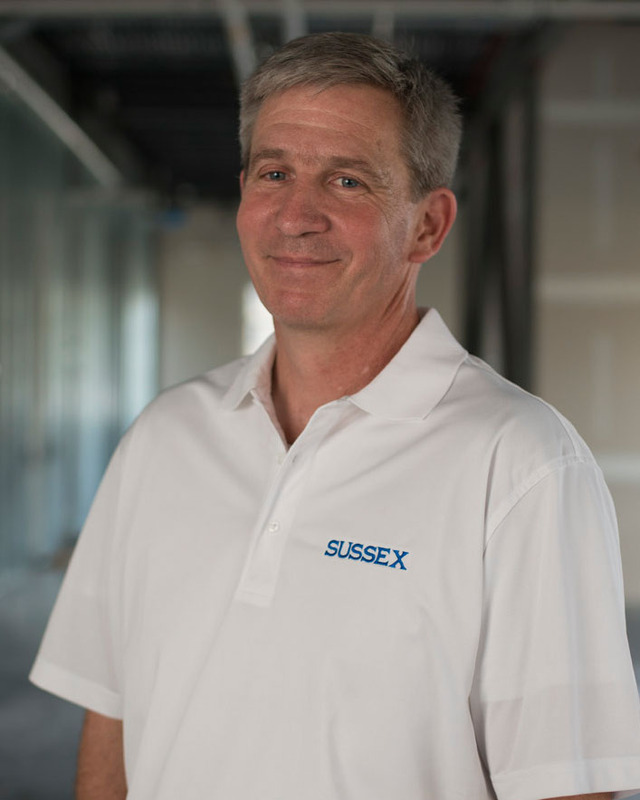 With Sussex Development, he has shown himself well-qualified to lead field activities on various project types and sizes. 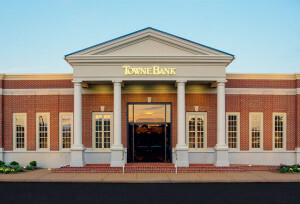 He successfully completed projects in medical office buildings, hospitals, MRI-CT diagnostic centers as well as completing multiple projects for TowneBank and Monarch Bank. 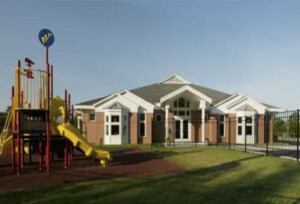 He recently renovated two different pre-schools. Frank is proactive in his approach to completing projects either on or ahead of schedule and continuously exceeds our Clients’ expectations. 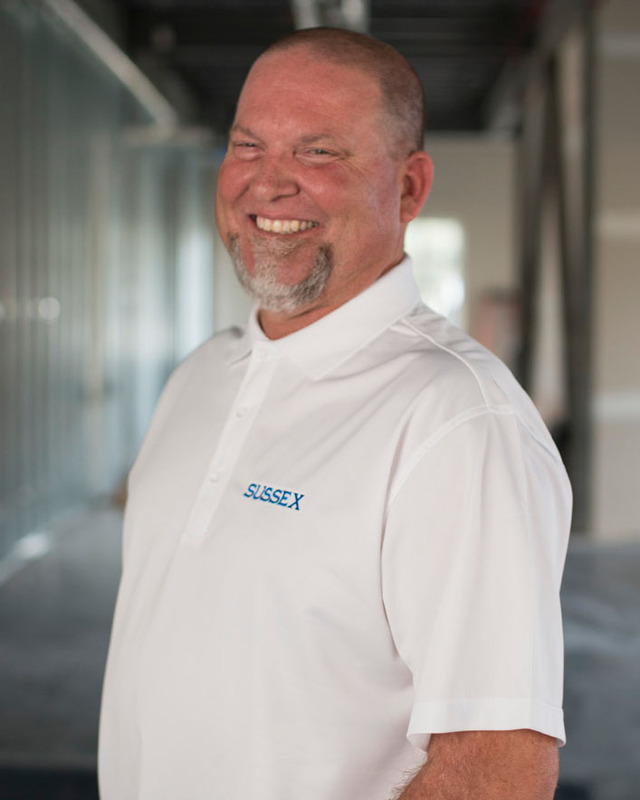 Jeff is one Sussex Development’s original three employees and has remained a Team member since 1990. During high school, Jeff attended Virginia Beach VoTec School for Carpentry, and went on to complete an AGC sponsored apprenticeship program. Jeff is CPR, Adult AED and First Aid Certified, OSHA 10-Hour and 30-Hour Certified and a Virginia Responsible Land Disturber. Jeff takes a hands-on approach to field activities and is experienced in most areas of construction. He visualizes contract drawings and sees how a building will come together, making him particularly skilled in identifying challenges and providing innovative solutions. His experience makes Jeff one of our most valued senior level Project Superintendents. 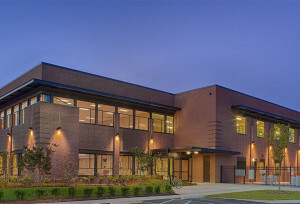 He has performed multiple projects for the YMCA of South Hampton Roads, erected the Rouse Building, College of the Albemarle Aviation Training Center and Widgeon Professional Center (the home of Sussex Development’s corporate office). When not at work, Jeff enjoys hunting and is an avid Kayak fisherman. 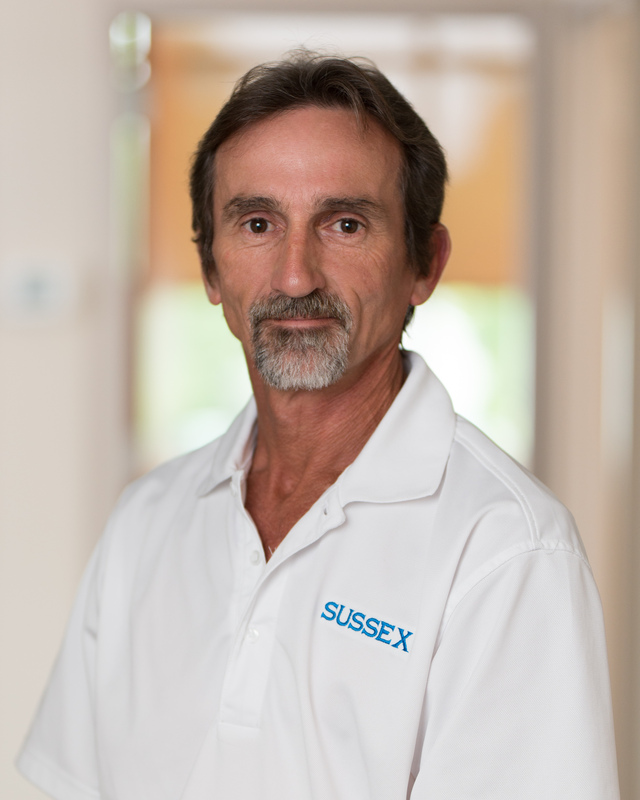 Greg has been a proven member of the Sussex Development Team since 2003. 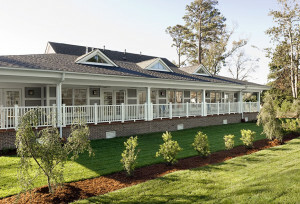 He has 35+ years of experience with commercial construction projects in the Hampton Roads area. Prior to entering construction, Greg served four years in the US Navy as an Electronic Warfare Specialist and was honorably discharged as an E-5. He is a Virginia Responsible Land Disturber, attained SWPPP certification by attending the VA SWM for Contractors & Operators training course, and is additionally OSHA 10 and 30-Hour Certified, completed Mold Remediation training and is certified in CPR/AED First Aid. He is experienced in a cross-section of construction fields, primarily working with new, ground-up turn-key construction projects. He is known for locating potential conflicts on drawings and finding feasible, cost-effective solutions. 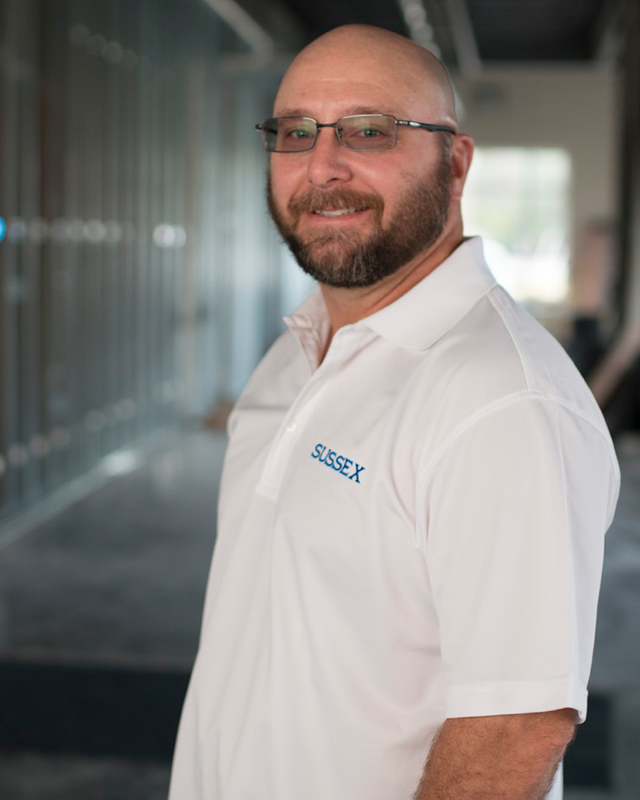 Greg has completed dozens of projects while at Sussex Development. 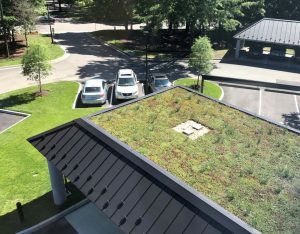 Most notably he was our Project Superintendent for: The Princess Anne Family YMCA, The Y on Granby, ABNB Providence and Littleneck branches, and four Konikoff Family Dentistry new medical office buildings. 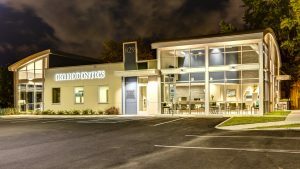 He has also successfully completed multiple interior renovation / build-out projects for Clients like Sentara Healthcare, Beach Eyecare and an 18,000 SF medical office / surgery center build-out for the New Hope Center for Reproductive Medicine. Lee started his construction career when he was 15, working weekends, vacations and holidays in high school. He has accumulated a wealth of knowledge over nearly 60-years in construction and has been a solid asset to the Sussex Development Team since 2004. Lee spent four years as an electrical apprentice, four years serving as a civil service drafter, one-year working with acoustical ceilings and ten years as a caseworker. 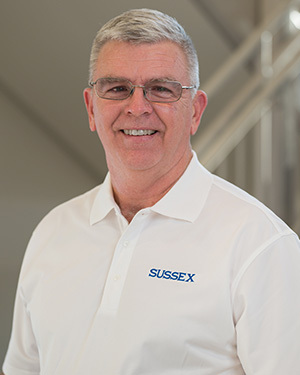 Prior to joining Sussex Development, he owned and operated his own construction company, performing commercial renovations and build-outs for clients like Haynes Furniture, Circuit City and numerous retail stores in area malls. Lee’s company had a residential division that built 100+ area homes, one was a Home-A-Rama award recipient. Lee is OSHA 10-Hour Certified, Mold Remediation Certified and is a Certified Renovator (Lead-Based Paint), and First Aid/AED/CPR certified. He specializes in medical project renovations, having completed dozens of projects for the area’s leading health care providers. His secondary niche is Class A office buildouts and renovations. His reach extends outside Hampton Roads, into Maryland and Delaware. In his youth, Lee was an avid equestrian and competed in numerous events. Now in his spare time, you might find him riding his motorcycle with friends. Keith has nearly four decades of construction experience. 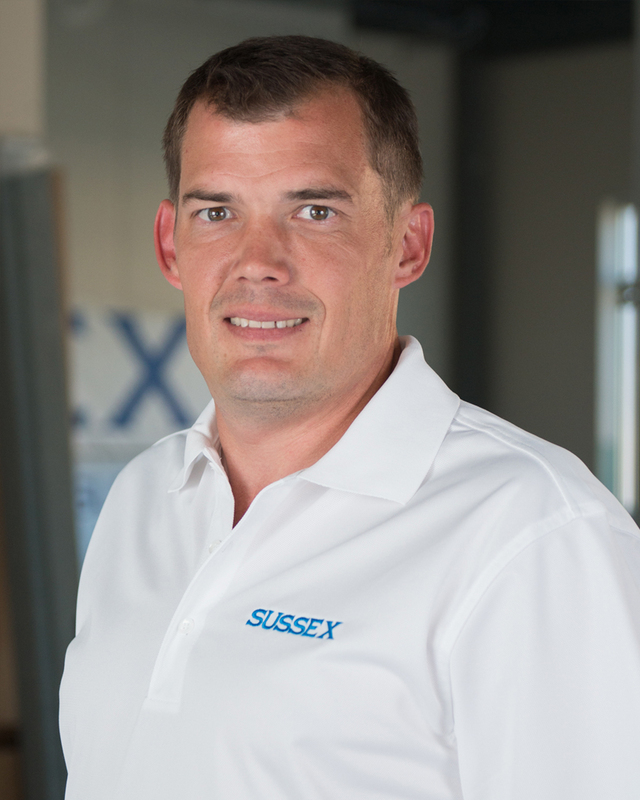 He started as a journeyman carpenter after high school and ultimately joined Sussex Development’s Team in 2001. Throughout his career, Keith sought to learn all he could about leading a successful construction project. He is an accomplished team leader on projects ranging from the smallest 1,000 SF renovation to ground-up projects. Keith is ASHE HCC Certified, Mold Remediation Certified, a Certified Renovator (Lead-Based Paint) and maintains CPR / AED & First Aid Certifications. 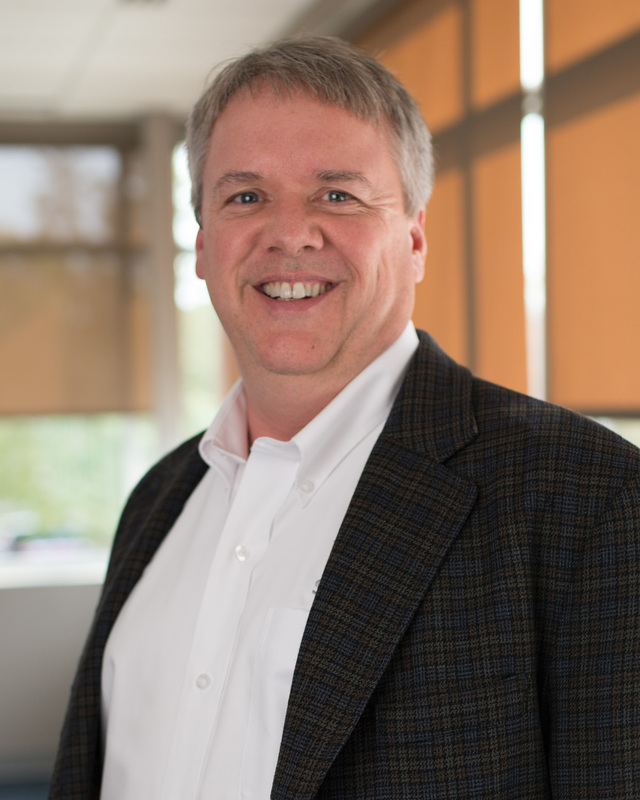 In recent years, Keith’s focus has been on medical projects, taking a lead role in our work for Sentara Healthcare. He is especially sensitive to working in a hospital setting, around patients and medical staff. Keith possesses an intense sense of community and giving. At thirteen he joined the Hampton Volunteer Fire Department where he has remained a volunteer and is currently their Incident Safety Officer. In his free time, he and his family are avid campers and enjoy the outdoors. Herb entered the construction industry out of high school and learned his trade through on the job experience. He is a vested member of the Carpenter’s Union and stays current with his CPR, First Aid and AED Certifications. Herb joined Sussex Development in 2004, and is a valued member of our Team. He enjoys spending his quiet time reflecting at the beach or his favorite fishing hole. Mike joined the US Navy out of high school. After retiring from the Navy, he mastered his skills as a carpenter through on the job experience. He is a vested member of the Elevator Union and stays current with his CPR, First Aid and AED Certifications. Mike joined Sussex Development in 2004, and is a valued member of our Team. He enjoys spending time with his family in his free time. Tyler joined the Sussex Development Team in 2015. In addition to being a full-time carpenter, he is actively pursuing a Bachelor’s degree in Civil Engineering, with a Business Management minor. He aspires to one day become a Project Manager on our Team. Despite his youthful age, Tyler is not new to construction. His father owns and operates an area construction company where Tyler started helping his Dad in middle school, during vacations and summer breaks. He has also worked as a foreman for a mechanical services contractor. Tyler is a newlywed and new home owner. He dreams about the day when his schedule will allow him to revisit some favorite spots on the Eastern Shore to fish and hunt with his family and friends. Brian is a native of northern Virginia who relocated to Hampton Roads to attend Virginia Wesleyan College in 2012. He joined Sussex Development as an intern in the spring of 2016, while finishing his B.A. in Business, with a focus in Accounting, minoring in communications. 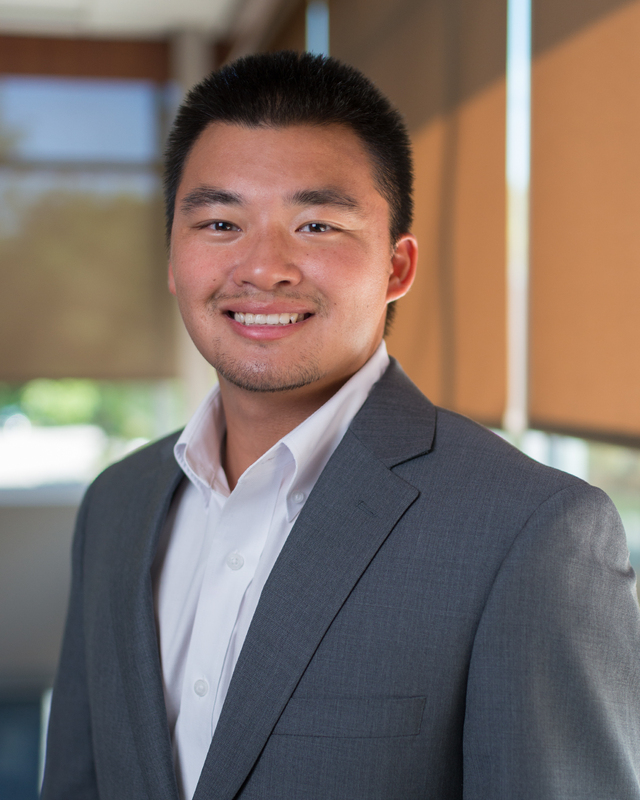 Since earning his degree, he joined our Team in a full-time capacity and is continuing to learn, providing solid support to our accounting department. While maintaining a solid GPA in college, Brian rounded his Academic career as an active member of: the Society of Collegiate Journalists, the Marlin Business Association and the Virginia Wesleyan Men’s Soccer team. He served as the News Editor for the Marlin Chronicle, the school’s newspaper. He gained valuable experience working summers in the capacities of a Sales Representative, Administrative Intern and Data Analyst Intern. Outside of work, Brian still enjoys playing soccer, physical fitness, traveling and spending time with his family and friends. 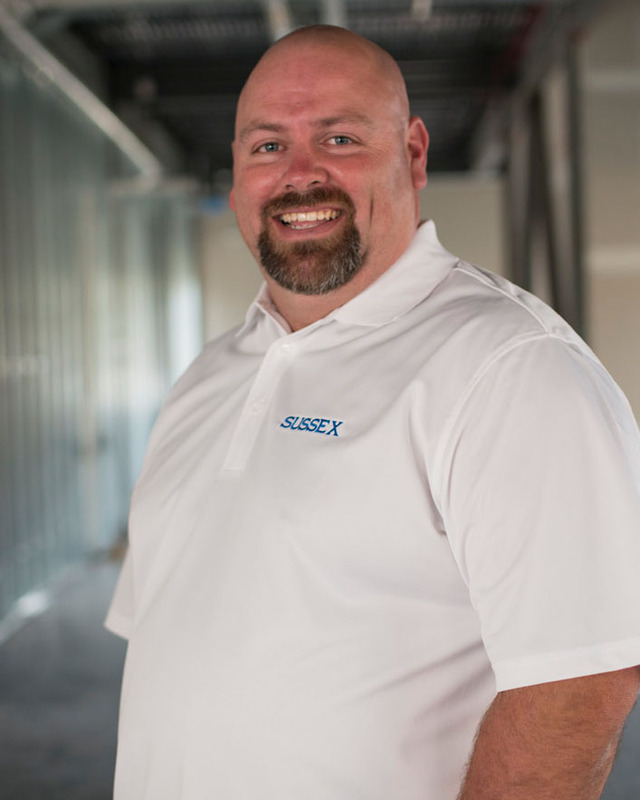 Ed is one of our newer team members, who possesses decades of experience in a wide array of trades and played an active role in the evolution of modern construction. 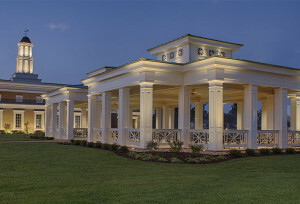 He has worked in both residential and commercial settings performing pre-fabricated metal building construction, framing and interior finish trim work, was a foreman of a concrete forming crew and been an executive for a custom home builder, in addition to operating his own construction company for many years. At one point, Ed tackled the real estate industry, closing hundreds of deals. Ed is an honest, open person who strives to maintain solid communications. He respects the need for all parties to work collaboratively to achieve the most success in a project. Ed is proficient in team management, coordinating with municipalities and has a solid grasp on the business elements that go into construction projects. He is a warm person who enjoy spending quality time with his family and friends. Bryan is one of our newer team members. He came to us with a varied background. Bryan attended the Savannah College of Art and Design where he studied Architecture and attained a BFA in Furniture Design. He continued to build a career in custom wood working, with an emphasis in cabinetry. He spent time freelancing his trade, specialized as a product designer, worked production and was the head of carpentry and warehouse maintenance. Bryan has a patented design for a KD method of and packing loveseats and lounges, and was a 2002 finalist in the Seating Category at the International Woodworkers fair in Atlanta, GA. Upon moving to Hampton Roads, Bryan accepted a Construction Manager position for a local custom cabinetry contractor. He also spent time with a prominent drywall contractor, responsible for layout, production of wall systems and installed gypsum / dens glass type materials. 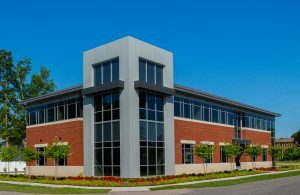 From there he moved to residential general contracting and is now settled into the commercial marketplace, focusing in interior build out and renovation projects. Glenn is one of our newer team members. He possesses decades of experience in a wide array of trades and played an active role in the evolution of modern construction. 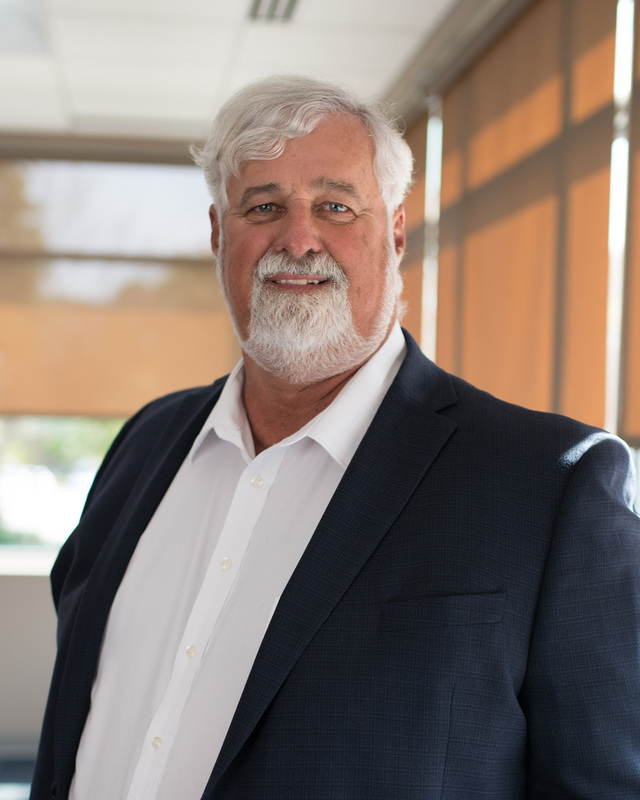 Through the years he has worked for a number of mid-size to large general contractors, even owning his own general contracting firm in the 1980s. 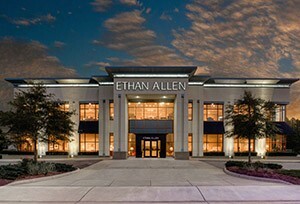 He honed his skills on free-standing buildings, shopping centers and large retail box stores, like Lowe’s, Walgreen’s Drug Store, Target and Food Lion. Additionally he has acted as Superintendent for Country Inn & Suites Hotel and Comfort Suites Hotel, and successfully completed projects for NASA and the North Carolina Aquarium. Glenn is OSHA 10 certified, Rome Safety NASA Certified and CPR/AED/First Aid Certified. He is a Virginia Responsible Land Disturber and attained E & S Control /SWWPP Certification. When Glenn has free time, he enjoys bass fishing. He fishes the professional circuit throughout the southeast region and has won several tournaments. Glenn is an active member of several organizations focused on the preservation and enhancement of the sport. Nic is a Virginia Beach Native, graduate of Kempsville High School and studied Psychology at TCC. His family has a history in construction, so it was a natural fit for him to migrate toward the construction industry. He was a welding apprentice for a year, learning needed skills to fabricate structural components for industrial buildings and many welding techniques, including tack and MIG welding. This experience lead Nic to a position as a CNC Operator and Machinist, fabricating numerous parts used in simple and complex machines. Wanting to get back to basics of construction, Nic accepted a position as a Journeyman Carpenter for an area custom casework contractor, where he had worked part-time in high school; in total he spent nearly a decade with them. In that time Nic observed other trades, watched interior spaces come together and observed how a superintendent coordinates everyone to deliver a quality finished space. He made the decision to seek entry-level employment with a reputable general contractor. His goal is to become a Project Superintendent. Nic joined the Sussex Development Team in the spring of 2016. We are excited for the opportunity to train and mentor the next generation in our industry.